Great quality control: all other Pine Nut Oil comes from resellers and unknown producers. Therefore, resellers cannot control quality. 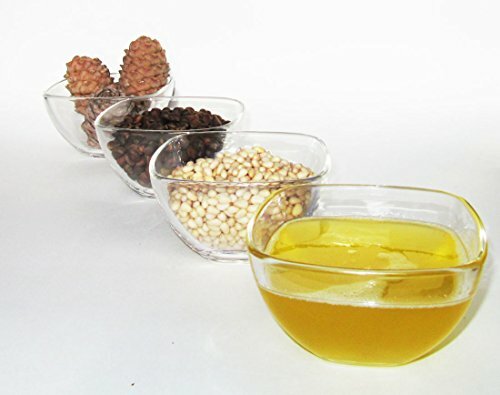 The present Pine Nut Oil comes directly from a manufacturer with strong quality control at all stages. Enjoy the first grade quality for the best price. According to information provided by Scientific Research Institute of Balneotherapy and Physiotherapy, pine nut oil contains a large quantity of polyunsaturated fatty acids, including a significant quantity of fat-dissolving vitamins E and F, which are known for their high level of physiological and anti-acidic properties. The oil contains phosphatidic phosphorous, very important to bodily health, besides being a rich source of vitally important micro-elements: phosphorous, calcium, magnesium, manganese, copper, zinc, cobalt and iodine. 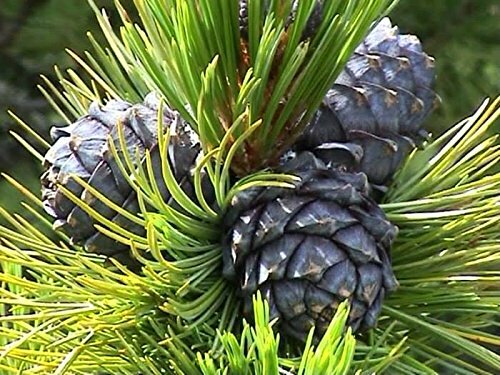 Pine oil contains up to 5% nitrogenous substances, of which 90% are amino acids, 70% of them indispensable acids – all of which testifies to its high 1physiological value. Siberian Pine Nut Oil has been used for treatment purposes at: -The Siberian State Medical University -The Tomsk Scientific Research Institute of Bacteriology and Physiotherapy -The Central Scientific Research Laboratory -The TSC RAMS Scientific Research Oncology Institute -The Rehabilitation Center for those affected by the Chernobyl disaster -The St. Peters-burg institute of bio-regulation and gerontology. 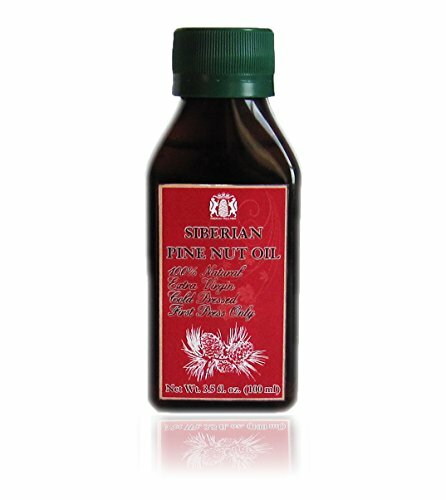 Virgin pine nut oil has an attractive light-amber colour and a pleasant taste.Dear Ladies and Gentlemen, we are glad to present you 100% pure and natural Siberian pine nut oil from certified Russian producer. The oil is made and bottled in Russia. 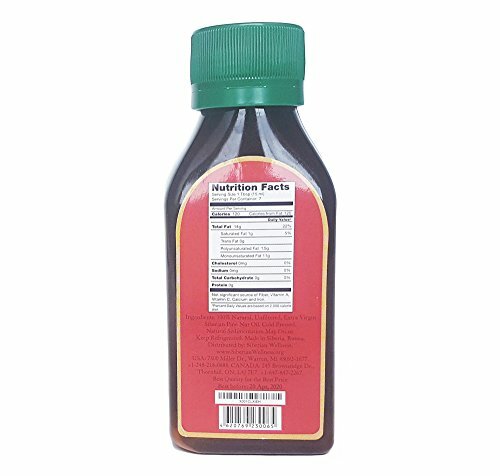 We preserve quality of the oil by storing it in FDA approved refrigerated warehouse. The oil is first grade quality (regular quality) in plastic bottle. 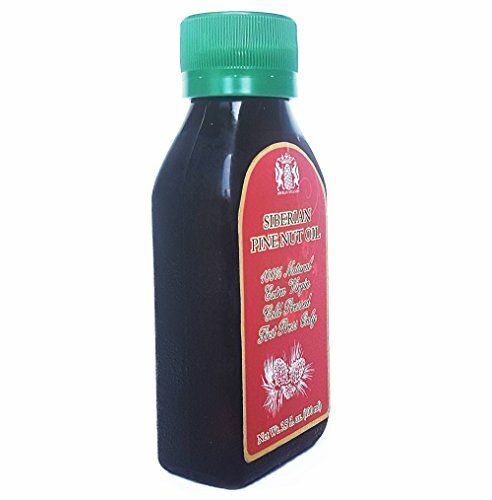 To obtain superior grade oil and premium grade oil, please visit our storefront for product under SIBERIAN PINE NUT OIL and RINGING CEDARS OF RUSSIA brand names accordingly. Not refined, Not processed, Not deodorized. Does Not contain preservatives, chemical colorants or additives. Strong and natural antioxidant. 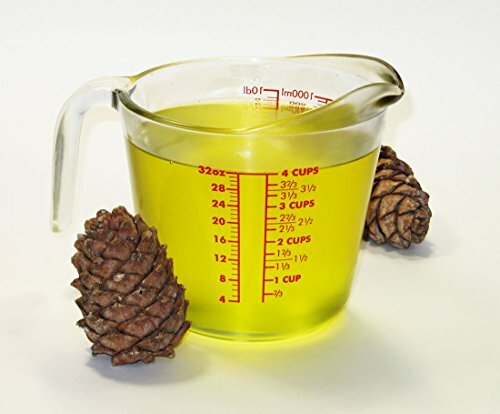 Pine nut oil contains large quantity of polyunsaturated fatty acids, including significant quantity of fat-dissolving vitamins E and F. The oil contains phosphatidic phosphorous, very important to bodily health and it is a rich source of vitally important micro-elements: phoshporous, calcium, magnesium, manganese, copper, zinc, cobalt and iodine. We received many questions from customers, asking why our oil has better taste and quality then other? 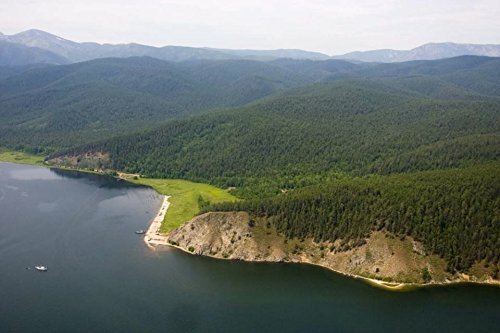 The answer is simple, we have own production base in Russia, we control quality of the oil, we preserve quality of oil by fast shipping and refrigerated warehouse, we have always fresh stock, we are professional and largest company producing Siberian pine nut oil from 2003. All other sellers on Amazon just resellers, they buy cheap, sell expensive, that’s all. Buying cheap means lowest quality oil (even from China), diluted oil and rancid oil. Resellers don’t have any ability to control quality! Bad quality is one side of the problem, another side is storage. Improper storage, outside of refrigerator transforms even best pine nut oil into low quality one in three weeks! For example Amazon warehouse doesn’t provide refrigerated service, it means when you buy item with Prime sign, you may receive rancid oil. 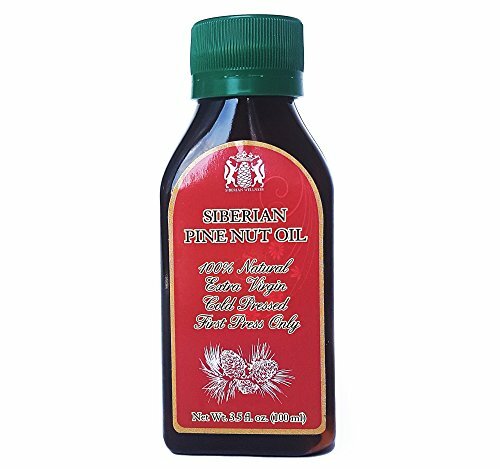 Mislead example: Siberian tiger naturals, stating that they sell extra virgin, 100% natural Siberian pine nut oil. Back label shows that it is diluted with milk thistle oil! So it is not 100% natural and of course, deluted oil cannot be extra virgin. Site states that their oil is bottled in Seattle, WA. Maybe they buy pine nut oil from China, mix it with milk thistle oil and sell it as Siberian one? 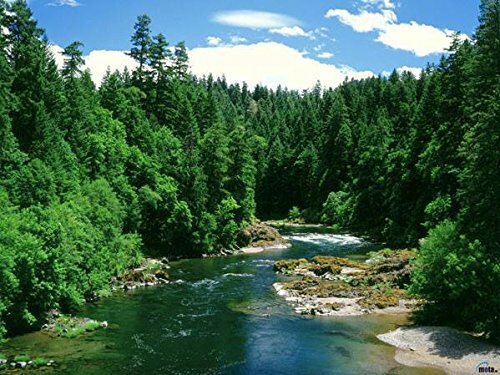 We advise you not to take needless risks, and obtain original Pine Nut Oil from SIBERIAN PINES.